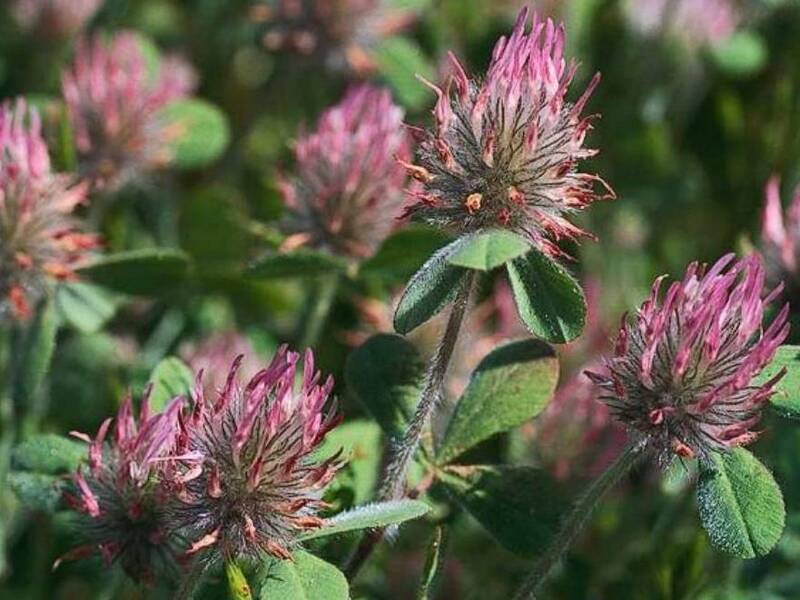 Trifolium hirtum (rose clover) is an annual forb/herb (family Fabaceae) commonly found in California, blanketing dry rangelands. Rose clover out competes indigenous clover and native grasses and can tolerate dryer soils and frost. It was intentionally introduced as grassland forage and in most rangeland systems is not considered weedy. However, in wildlands, it can out-compete native clovers.